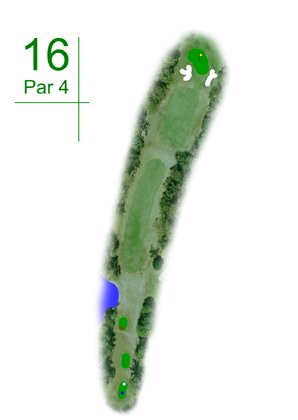 Difficult dog leg right par 4 that requires accuracy and length off the tee as the second shot is the danger shot on this hole. The green is small and well guarded by bunkers. Shots wide of the bunkers will run to the trees and rough. If you do not get a good drive away best option lay up short middle leaving an easier chip shot. 5 on this hole not a bad score.